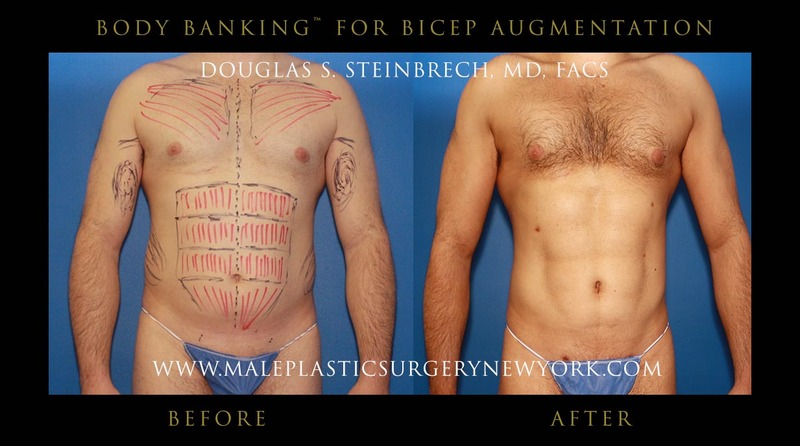 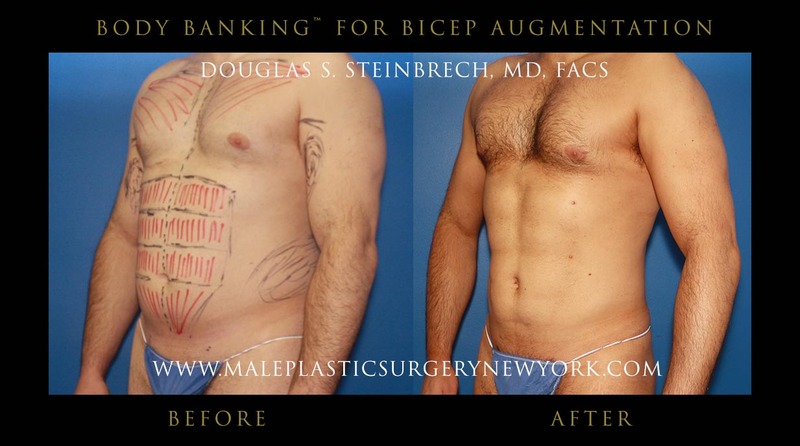 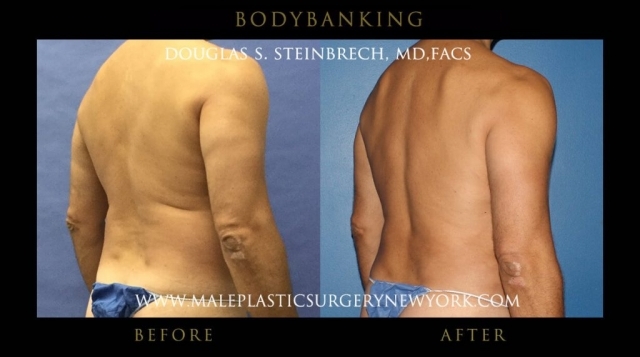 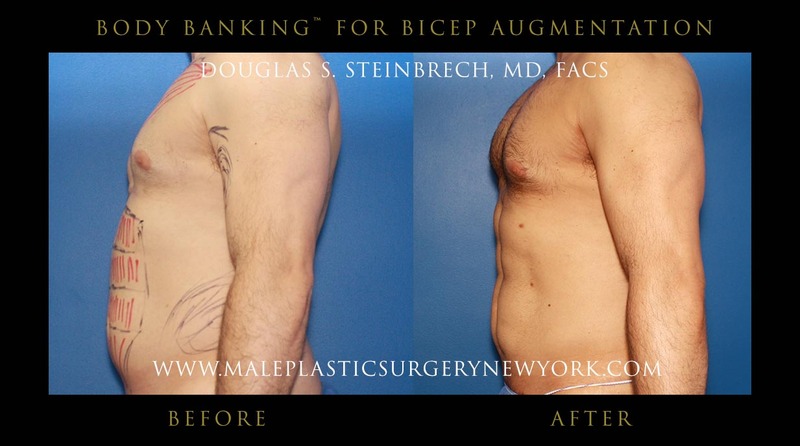 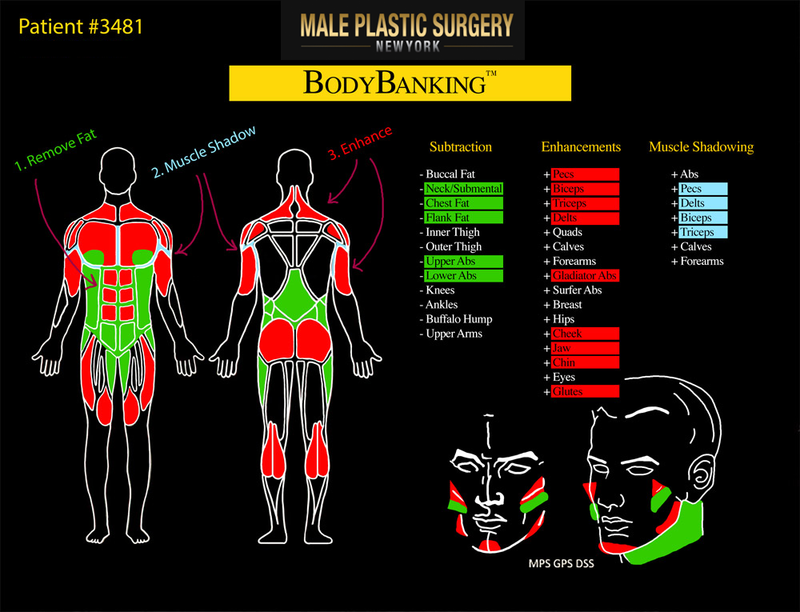 BodyBanking® is a plastic surgery procedure developed by Dr. Douglas Steinbrech which allows the transfer of fat from one part of the body to the other. 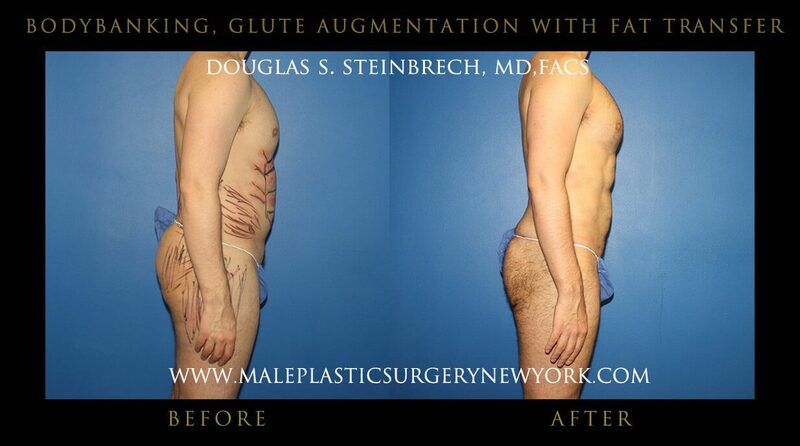 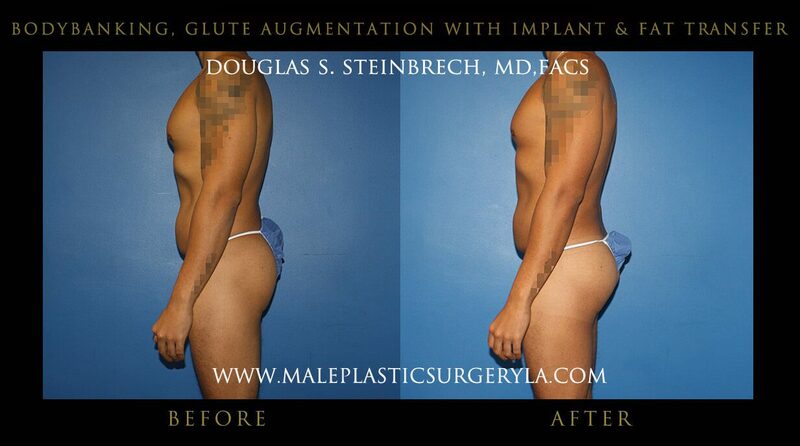 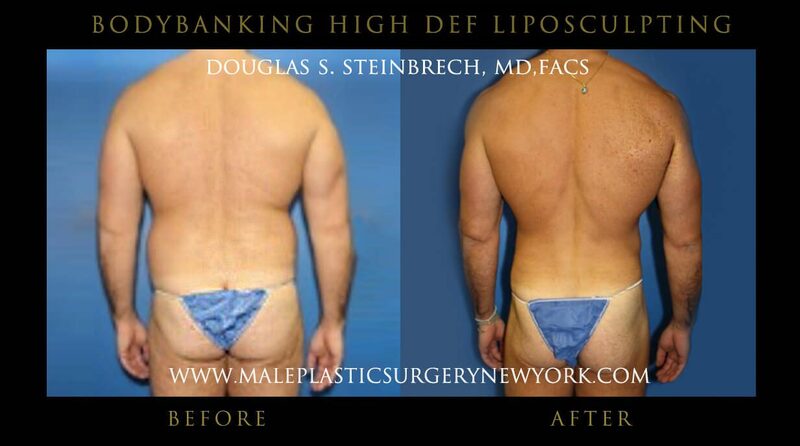 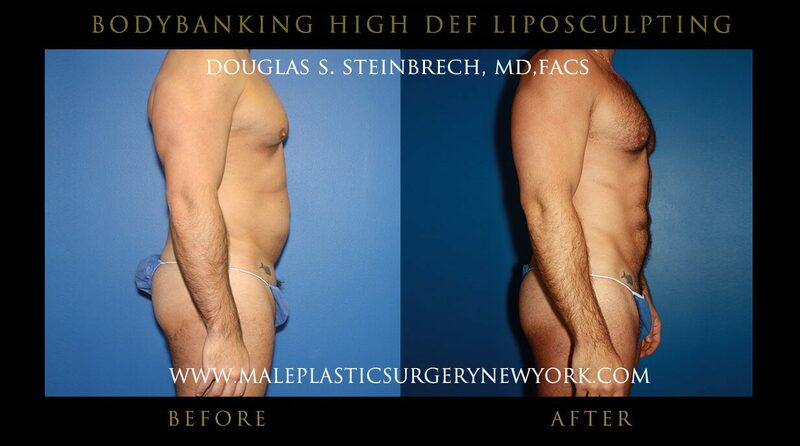 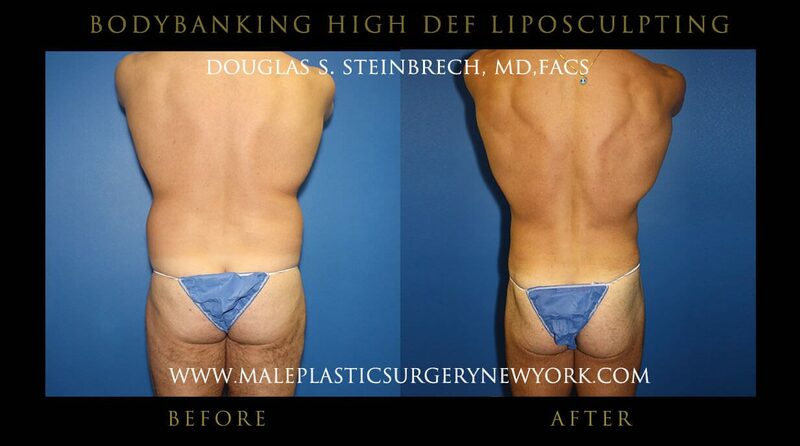 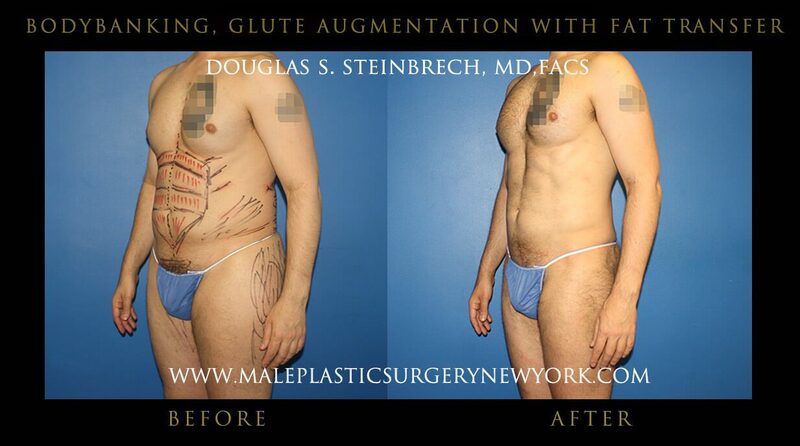 Dr. Steinbrech is a strong advocate for Selective Fat Transfer when performing liposuction procedures. This allows for the number of fat cells to remain fairly constant which prevents disproportionate fat growth if there was weight gain in the future. 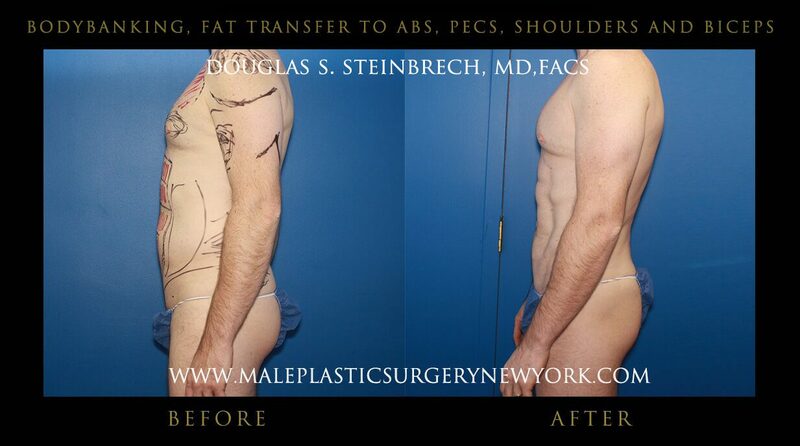 Common areas for Selective Fat Transfer are: Pectorals, Glutes, Biceps, Triceps, Shoulders, and Calves. 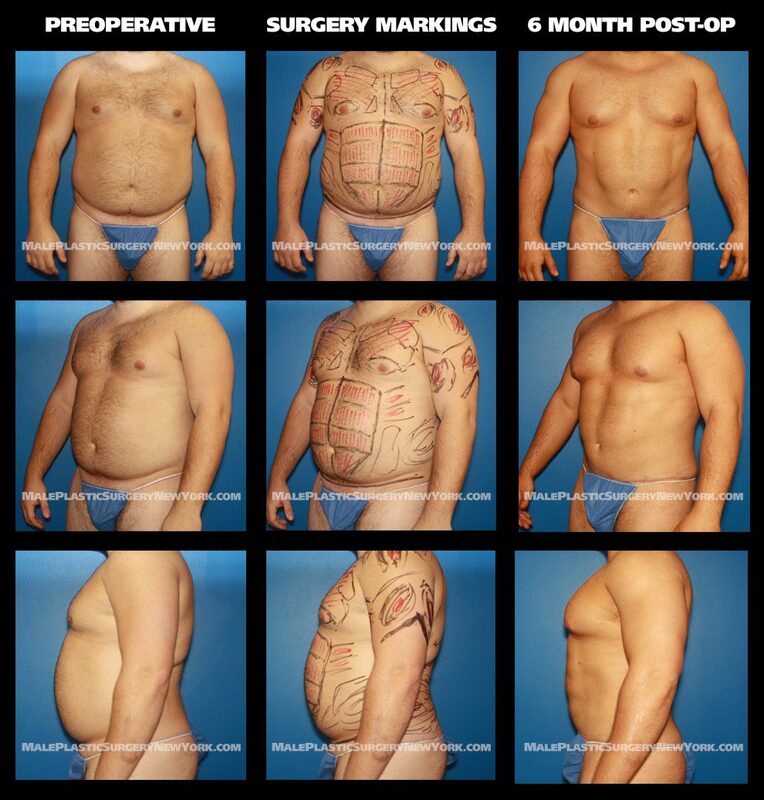 What is Turn Fat to Fit™? Using a patient’s own body fat, Dr. Steinbrech is able to use fat injections to transfer and remove fat from unwanted parts and inject it into the desired ares of the body to sculpt out the perfect physicque. 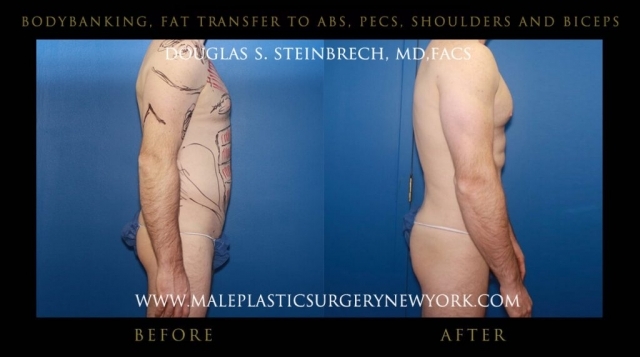 Body fat makes for an outstanding tissue filler material that involves the transfer of fat from one area of the body to another. 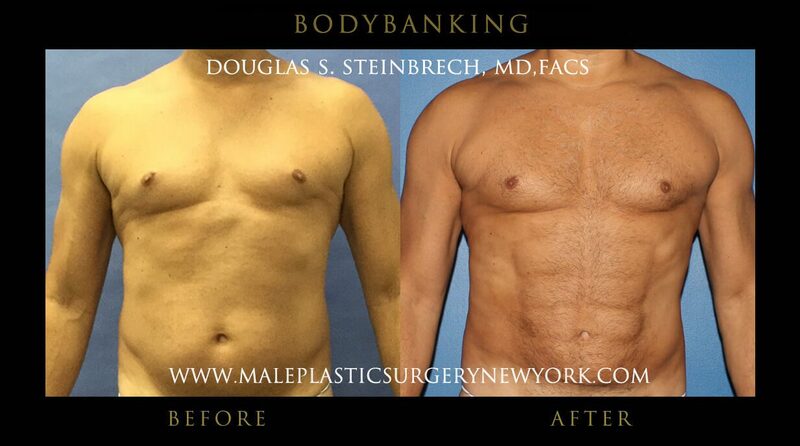 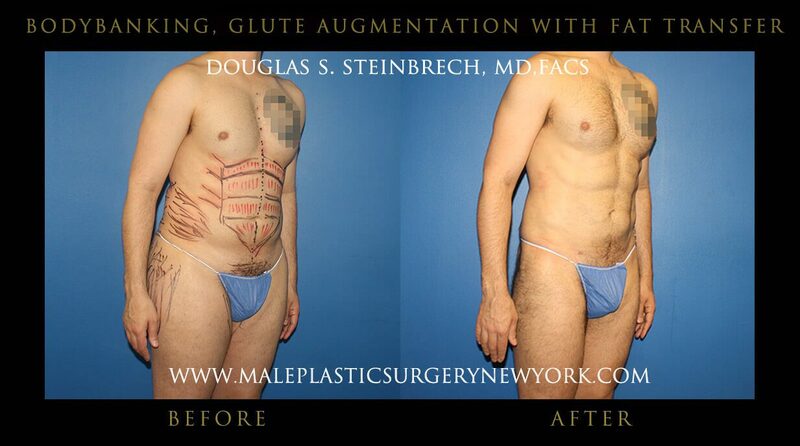 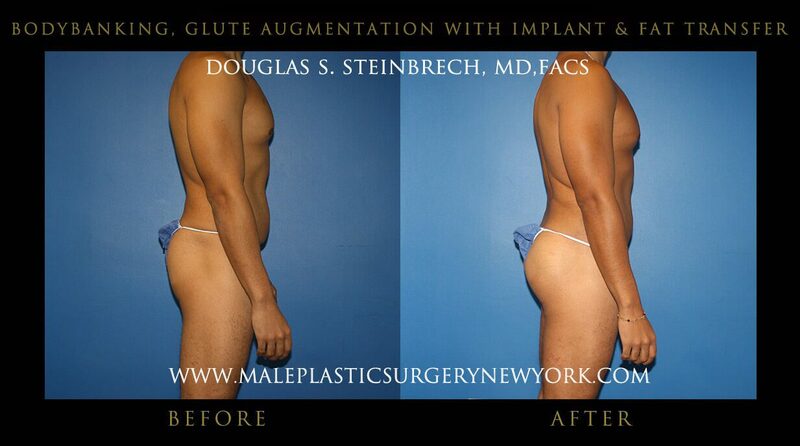 Fat injections in NYC can be used to fill and shape areas of the face and body for male patients. Fat injection is not permanent, and therefore requires maintenance, which is discussed with your doctor during your consultation. The donor area and the treatment area are first injected with local anesthetic. 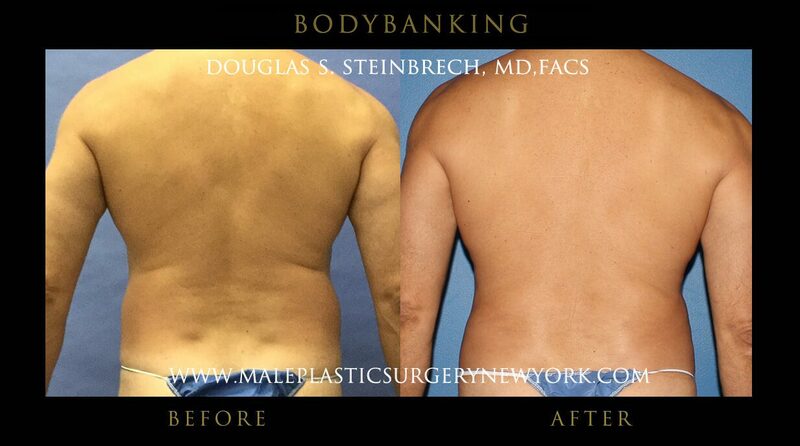 Fluids are then injected into the donor site to enable fat collection. 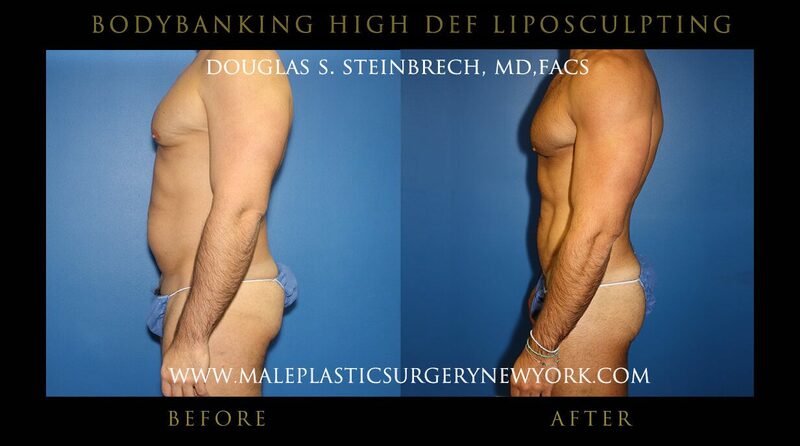 Once the fat is injected, it is then placed in a syringe and processed to be cleaned. 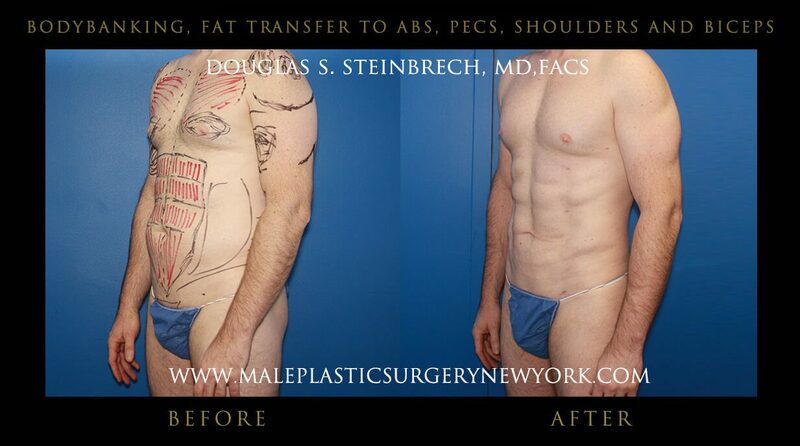 Finally the fat is injected into the desired area. The amount of fat injected into the body must be greater than the amount needed, (as fat is absorbed into the body) extra fat cells allow for the right amount of volume for your desired final result. Dr. Steinbrech uses his unique MuscleShadowing® technique. 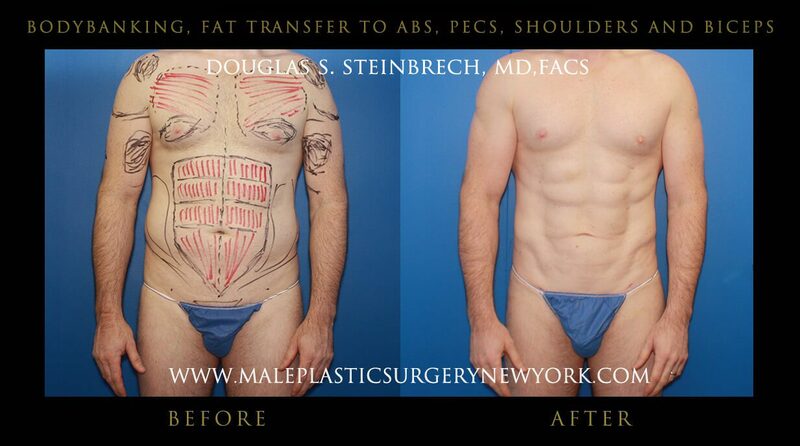 MuscleShadowing® creates more definition around the specific muscle groups: deltoids, biceps, triceps, chest, quads, calves. 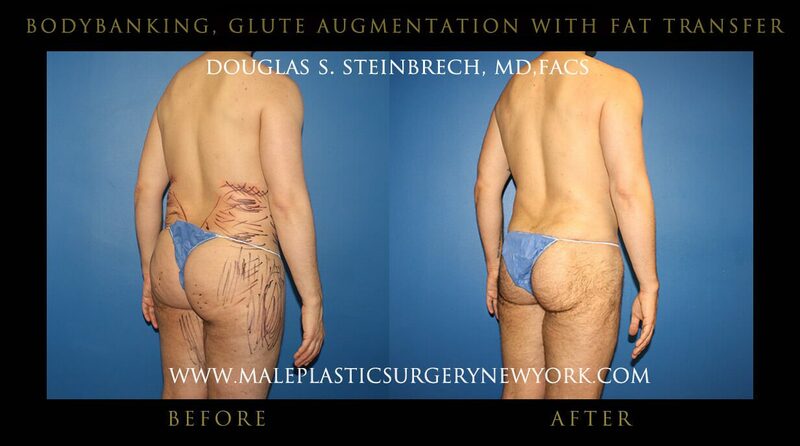 Good alternative if the patient is allergic to bovine collagen. 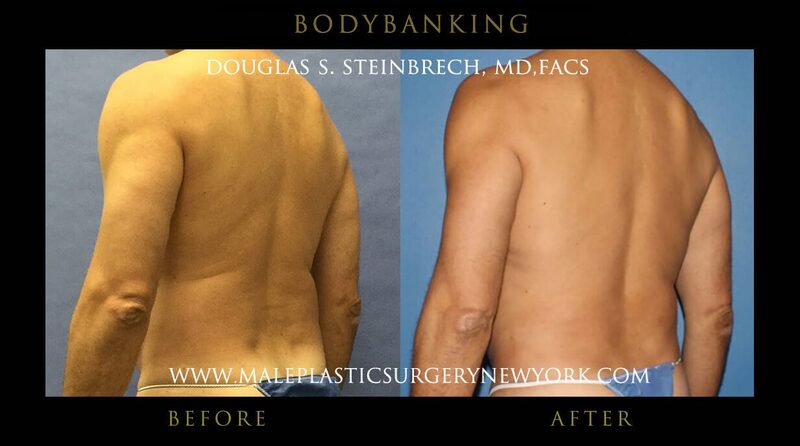 For more information about BodyBanking® in NYC, please call (646) 480-7750 or contact Dr. Steinbrech’s clinic to set up your no-obligation consultation today.